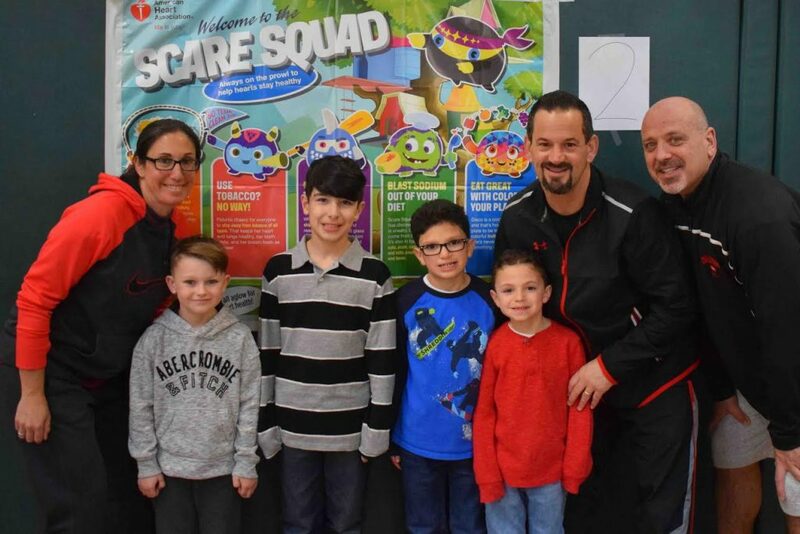 Over the course of the past 13 years, students and staff at Cherokee Street Elementary School in the Connetquot Central School District have raised close to $150,000 for the American Heart Association through the efforts of the Jump Rope for Heart initiative. As part of the 2018 Jump Rope for Heart program, students jumped rope and climbed the rock wall as they took part in a variety of fun and athletic activities while family and friends pledged their financial support for the AHA. The school raised more than $20,000 this year. The district congratulates Cherokee Street Elementary School kindergarten student Annabella Wohlrab for being recognized as the top fundraiser for this year’s Jump Rope for Heart program. Photo caption: Connetquot Central School District’s Cherokee Street Elementary School recently participated in the American Heart Association’s Jump Rope for Heart program, having raised more than $150,000 for the AHA over the course of the past 13 years.